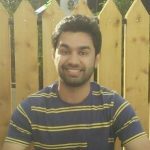 Abhishek Mahindrakar is currently pursuing masters in Information Systems at UMBC. His research interests are in the field of Cloud Computing and Network Security. Prior to UMBC, Abhishek worked with Saba Software,India for three years and Capiot, India where he mostly worked on TIBCO and RedHat Integration Services. Abhishek completed his BS, Information Technology in 2014 and is proficient in DevOps tools and technologies used for Deployment, Automation and Testing. He is working on the KRUD project.